Case bearing moth also called as Case making moth. The larvae are smaller in size 3/8inch long that live within a small brown case. They carry as they feed. The larvae have dark brown head capsule. Case making moth goes through a complete metamorphosis. From egg to larvae, pupae and adult like a butterfly. Adult moths do not feed, Larvae are the stage which feeds them and damages fabrics. In houses they feed on cotton, wool fabrics, blankets, wool or a silk material which is rich of keratin. Adult Case bearing moths are approximately 1cm long. The wings and body is of brownish golden color. Female moth starts laying eggs (37-48) on suitable larval food like fabrics. The larva feeds for about 30-90 days and molts 5-10 times. The mature larva then finds a safe dark place to pupate. 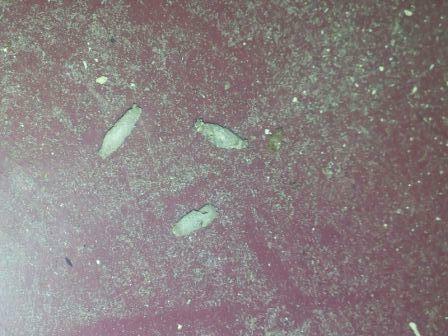 The insect pupates within the silken larval case. Developmental period (egg to adult) requires 45-115 days. d moisture also invites moths. Many a times this case bearing moths found at home crawling on the wall. Because of the outer soil case it becomes difficult to differentiate between the dust particle and case moth. Rajashree Pest Control offers an integrated pest control solution for case bearing moths. The service consists of a spray treatment followed by checkup visits. Please call today @ 022-24911661 or +91 9222244404 to schedule an appointment.